Knowing the basics of photography will allow you to beautifully craft a branded, cohesive Instagram feed. While dogs, breakfast and selfies eat up a considerable amount of bandwidth in the Insta world, plenty of users are doing more with Instagram to gain a substantial following, and you can too! You may not always have a DSLR at hand, but you do have your phone on you at all times. This means creative opportunities are everywhere, you just have to learn to look. You don't need to be a photographer to take great photos for Instagram. 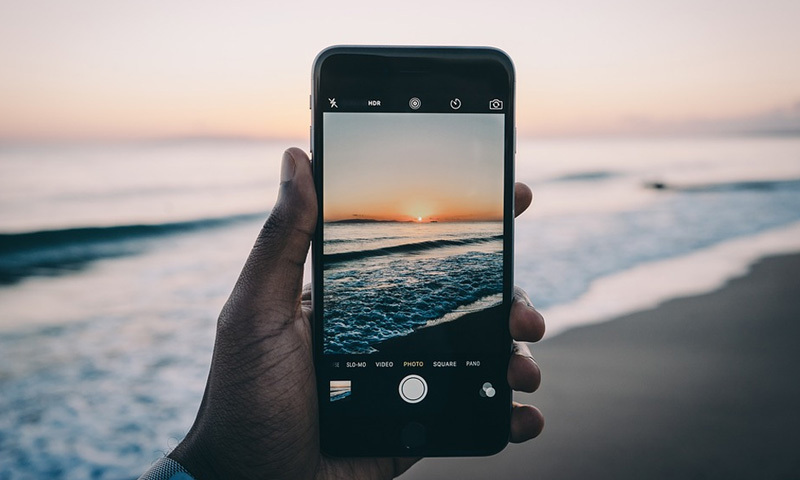 All you really need is a smartphone and the willingness to learn some key tips for how to use it Photography is all about creativity, inspiration and delivering your point of view. With all the freedom, is there really any space for rules? Yes! Composition rules in photography should always be handy especially on Instagram because posts that follow basic photography rules receive higher rates of engagement than those that do not. Thankfully, the basics of photography are not too difficult, and the structure photography rules provide will make it easy for you to create quality content consistently. The cheetah is the most important element of the photograph and it is placed on the first vertical line. The most basic of all photography rules is all about dividing your shot into nine equal sections by a set of vertical and horizontal lines. With the imaginary frame in place, you should place the most important element(s) in your shot on one of the lines or where the lines meet. It's a technique that works well for landscapes as you can position the horizon on one of the horizontal lines that sit in the lower and upper part of the photograph while your vertical subjects (trees etc.) can be placed on one of the two vertical lines. If you need a little help establishing the "rule of thirds" for your photos, you can turn on the camera grid in Settings for your iPhone. The primary focus of this photo is the sunset with the secondary focus being the lighthouse- which also adheres to the rule of thirds. At the heart of photography is the idea that you are conveying a message to your viewers. Perhaps you want to show the beauty of a waterfall or the drama of an incredible sunrise. Or, you may hope to depict the dark intensity of a jagged mountain peak. A photograph with a clear message can be as effective as possible. More than any other element of composition, the concept of simplicity helps you achieve this goal. You need to train your eye to filter the distractive elements around you. In perfecting this skill, you will learn to appreciate the beauty in simplicity and will elevate your Instagram content quality almost instantly. Having too much going on in your photos can mean the person whose looking at it just keeps searching for a point of focus and soon gets bored of looking when they can't find one. This doesn't mean you can't have secondary points of focus, it just means you should make every effort to make sure they don't steal all the limelight. The role of any rule of composition is to draw the eye into a photograph. Framing refers to using elements of a scene to create a frame within your frame. For example, you might shoot through a doorway, pulled back curtains, branches, fences, tunnels, or arches to highlight your subject. Adding a focal point through framing shows a viewer exactly where to look. Using editing tools to instantly up your photography appeal. First things first, let's make it clear that no amount of editing tools will be able to fix a photo that wasn't shot well in the first place. When it comes to posting something awesome on Instagram, it's all about photo quality -- and that starts with a photo that's great even before you adjust it in the app. Following the discussed composition rules and making some use of editing tools will allow for magazine worthy Instagram posts—every time. A favorite and probably the most convenient (free) app that you will find. It’s easy to adjust to and learn how to use and gives you plenty of room for creativity with amazing image adjustment tools. On top of being a photo editing tool, it is also a camera app and a photo sharing platform that is compatible with both Android and IOS. Snapseed is now owned by Google and offers a huge variety of filters. The app has a healing tool for removing unwanted details and other creative photo manipulation tools that will allow you to keep all your photos simple and aesthetic. Choose a few filters and stick with them to make your Instagram feed cohesive. Price: free on iOS and $4.99 on Android. Don’t rule out free Instagram filters and editing tools for your photos. It’s simple, convenient and allows your photographs to be seen by a large Instagram community in an instant. Chances are, you may already know how to use Instagram's editing tools, but if you do not, check out the Hubspot blogpost we have cited for you. Lightroom has easy-to-use sliders, filters, and quick adjustment tools, with an interface that makes it simple to create photos that look just the way you want. And you can edit your full-resolution photos anywhere — on mobile devices, the web, or your desktop. Edits on one device are automatically applied everywhere else and a subscription comes with 1 TB of cloud storage. Adobe Lightroom has a free trial but afterwards, its cost is $9.99 a month. We personally recommend trying the free photo editing softwares—VSCO, Snapseed, Instagram, and Adobe Photoshop Express—to determine if these programs offer you what you want for your Instagram aesthetic. All of these editing softwares are amazing, easy to use and will give your content the boost in quality it needs to allow for tremendous account growth. But if photography is a passion of yours and you are looking to spend more time on content creation than the average Instagram user, look into Adobe Lightroom and use the free trial period to determine if it’s something you need. Capturing good photographs for Instagram requires learning and planning. Occasionally there are happy accidents, but these are rare. Follow the simple rules for photography composition and editing and your account will turn into a nurturing environment for new followers, allowing you to see exponential growth in both engagement and follower count.